"Many thanks Anita for all your help. I really enjoyed learning to drive with you and shall miss our lessons. Thank you". "A lovely instructor who explains everything so well, and never gets annoyed. You definitely get what you pay for with driving lessons". 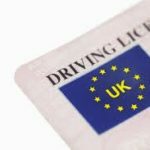 "I was very reluctant to start driving lessons but Anita made them interesting and enjoyable. I passed my test at the first attempt and am now enjoying my new found freedom and independence. Many thanks". "Brilliant instructor - friendly, patient and professional, and pushed me to do better. She explained everything clearly and I passed first time under her guidance. I would wholeheartedly recommend her. " "A very professional instructor who patiently explained everything very clearly. She helped build my confidence and I passed my test first time. Thank you". "Anita I’m so pleased I took my driving lessons with you. I was so nervous but you were so patient and calm. 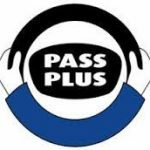 Passing my test has changed my life. Thank you". 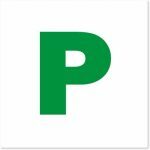 "Anita is a brilliant instructor who helped me on my way to passing first time around 6 years ago. 6 safe and happy years later I’m still learning! If you're looking for a brilliant instructor then look no further!" "Anita is a brilliant instructor. Very kind, patient and informative when it comes to driving on the roads. I couldn't recommend her enough! 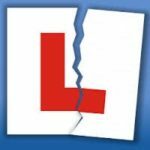 Highly enjoyable driving lessons and every lesson made huge improvements to my driving". Tom W.
"This lovely lady is a great driving instructor and helped me pass my test first time. Thanks Anita". "Thank you Anita – You’ve been such a great teacher". "Thank you so much for all your help and advice. I looked forward to my lessons with you and really miss them now after I passed first time. You were so patient".